At GazDetect we take pride in providing the best service to our clients. Thus we developed our expertise for gas detectors and respirators worldwide delivery. We provide a whole range of swift and effective logistic solutions to ship your orders in Europe and around the world. The fast shipping and good reception of your order is a priority for GazDetect. To achieve this goal, our people are working closely with many transporters and manage all year-round your equipment logistics and transport. For compliance with current shipping standards, we provide certified packaging and all of the required transport documents and certificates for products shipment. 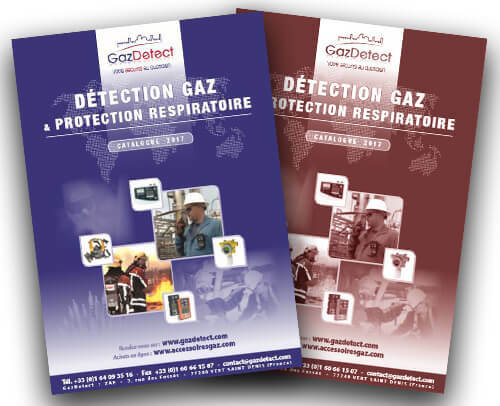 GazDetect international service team provides expertise in respiratory protection and gas detection to our clients around the world. It also ensures worldwide logistics and delivery of our products. From the first contact, all along the creation of your quote, order execution, international transport regulation management, and up to delivery in your country, our international service collaborators are working to help you find your gas detection system or respiratory protection solutions, and guarantee the swift delivery of your products. We are committed to produce our customers every customs documents and certificates for calibration gas cylinders, fixed and portable gas detectors, gas masks or SCBAs… We indeed provide origin certificates, EUR1 movement certificates, conformity certificates, hazardous goods declarations, dual-use items certificates, safety data sheets…. We also provide regulated packaging for hazardous products (ADR Accord for Dangerous Goods by Road, IATA Air Transport Association, IMDG International Maritime Dangerous Goods) and we work daily with many international transporters.